Will Deyamport, III is an Ed.D student in Educational Leadership and Management at Capella University. He is the founder of peoplegogy.com, a blog that focuses on life and career developments. 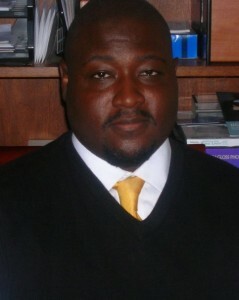 He is a monthly contributor to MyPathfinder Career Blog, where he writes about higher education. Currently, Will is writing his dissertation on how Twitter can support the professional learning needs of teachers. You can follow him on twitter @peoplegogy. This digital world we live in isn’t going anywhere. We pay bills online, we shop online, we make phone calls online, we date online, and now we’re streaming movies and going to school online. So why wouldn’t I post my dissertation online? Has the academy become so insular that it has failed to understand and embrace the realities of this digital age? Has it become so arrogant that it believes that it can remain the sole guardian of academic knowledge? Or has the academy so blindly held on to its beliefs of what scholarly work is that it refuses to see this work being published on a daily basis on blogs around the globe? I happen to have a passion for digital media and most of what I read is read online. What I do and want to do for a career is done online. I’ve been a social media strategist, I blog, and I am earning my doctorate online. So for me the online space is a place of isn’t some separate entity. It’s a part of who I am and how I express my ideas. I am a digital citizen. As such, I see the online world as the way for mobilizing the world towards a common humanity. I routinely seek out information online. Whether it is via Youtube, LinkedIn, or my personal learning network on Twitter, I am able to gain access to experts from a variety of fields and disciplines. I believe that academic knowledge belongs to the masses and should be made available and given freely to those who seek it. My dissertation is on teachers using Twitter to support their own professional development. The topic doesn’t belong is some bound book. It was meant to be posted online and shared with scholars and practitioners alike. The ivory tower and those who worship at its feet need to understand that education is no longer insular. Holding information hostage does nothing for the academy or the betterment of society. In order to truly build a thriving academic knowledge-base and further the continued and expansive research expected in academia, technology has to be a part of how that research is shared and disseminated. Using emerging technologies, schools have the capacity to expose its students’ research to every corner of the globe. It is with this type of free exchange that the academy can reinvent itself and lead the way in today’s growing global economy and workforce. Moving forward, I would like to see every doctoral student publish their dissertation on ProQuest or some other online platform. Just like TED has revolutionized the conference model, as current and future scholars, we have an opportunity to revolutionize the way people think, learn, and are taught about academic research. Thanks for being so uorpfnt about numbers. It sure it hard to know whether to keep trying or throw in the hat. Best to you!